If the soul had an echo, the debut self-titled album by Ibeyi, may reveal such phenomena. 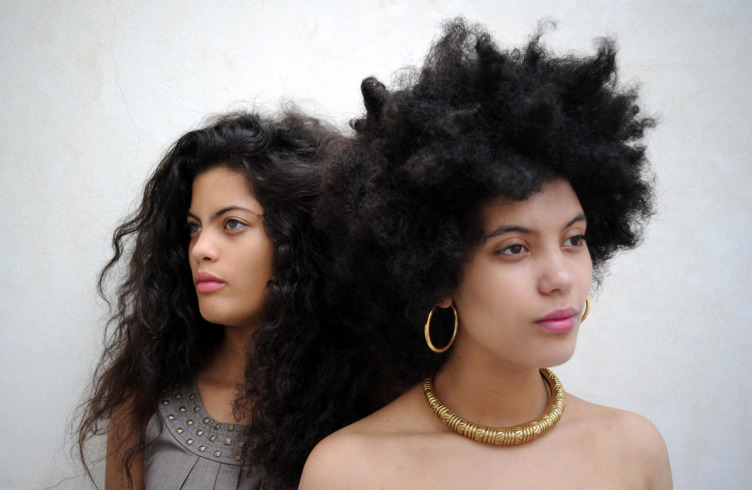 Ibeyi, translating, as ‘twins’ in Yoruba, a Nigerian dialect, are Cuban/French twins, Naomi and Lisa-Kaindé Díaz. Though only 20 years old, the sisters express much age and culture within their release. Of course, this can’t go without noting the two are direct kin of Miguel “Angá” Díaz, the late Cuban/Yoruban conguero of Irakere and Buena Vista Social Club. However, the girls’ talent’s ring strongly independent as they fuse both modern electronic, hip-hop, pop arrangements with traditional instrumentation and rhythms. The girls dig right into their deep-rooted history with the intro Eleggua. The piano strikes a single B natural ring, as the duo chant a prayer sung in Yoruba. One can read this track as homage to the Orishi, inviting the blessing of unpredictable journeys, or extend further relations to the spirit addressed in such harmonies, as Eleggua also relays a secondary identity in Latin culture as the Holy Child. The album carries a Bjork-esk sense of production, but stays true to rich cultural explorations, as we hear in Oya. Evoking another Orishi, the girls reflect on the tangibility of mystery and readdress the notion of journey with such a reference, as Oya, literally translates to “She Tore.” Perhaps relating to the tear in the Niger River, going in nine directions, as the folktale behind the Oya mother suggests. The lyrics move between English and French unfolding the possibilities. Continuing to utilize piano, cajón and the Batá drum, Ghost, a particular favorite, seems a bit more revealing of the artists, recalling a true expression of our time, declaring English lyrics and asking “Should we just let it be?” I don’t believe this to be a rhetorical question, but almost a direct reflection of history repeating itself, as they end the title in their Nigerian tongue. The aquatic flow of the album continues with River and Think of You, sparse folk-praises echoing hip-hop like samples and jazz breaks, delivering worship addressing the Orishi directly. The dark chords ring ceremonial, and relive the spirit. The full length hits heaviest when the girls speak of their parents. The piano motif in Mama Says, rings very Cuban, reminiscent of a slow mambo arpeggios in an earlier Havana. The mature tone empathizes with a woman whose lost love, and refuses to grow. Maturity further recedes in Faithful to self-titled track Ibeyi, fusing minor chords and striking mixtures of production like that of french ballad and Cubano bolero in melody choice. Weighing subtle electronic backbeats and jazzy transitions the song carry seamless transitions between diminishment and cadence. There is a rich French-pop sub sound overlying the albums mastery, ringing similar to Michel Legrand and Emiliana Torrini styles. However, one does not have to be musically schooled to appreciate the solemness in Ibeyi’s music. The spirituality of the release remains pronounced in both harmonies and subjectivity and invites the listener to engage emotionally. For an open ear, the whole work makes for an exciting journey through an array of tongues and tones as Naomi and Lisa-Kaindé Díaz have truly opened a door for anew-musical culture to come. Music enthusiast Eleanor Lucille Gomez, is a UC Riverside graduate, with a B.A. in Media and Cultural Studies. The five year KUCR DJ veteran, has spent the betterment of her career in radio production, and continues to invest in music creation and event coordination throughout California.